The chemotherapy treatment you are to receive uses two drugs called Taxotere (docetaxol) and Carboplatin. This chemotherapy combination can be given for a number of conditions including breast cancer (especially if combined with herceptin) and ovarian cancer. A "cycle" of treatment comprises of an hour pre-medication, and a 1-hour infusion of Taxotere followed by a 30-minute infusion of Carboplatin. It is usually given over 2 hours every 3 weeks, as an out-patient. These drugs are administered via an infusion (drip) into a vein through a small and very thin plastic tube called a cannula. Occasionally, if the veins get sore a longer cannula is inserted into a larger vein. This is called PICC line and it is left in throughout the chemotherapy cause. You will be carefully monitored by the chemotherapy nurses. You will usually be given 4 to 6 cycles of Taxotere and Carboplatin, and response to treatment will be assessed using blood tests and scans. Before each course of chemotherapy you will see a doctor and have a blood test. If your blood count is low then chemotherapy may be delayed a few days. The side-effects described below will not affect everyone and occasionally people have rare side-effects which are not expected or mentioned on this sheet. If in doubt ask! White Blood Cells (WBC) Shivering or shaking attacks of fever (flu like symptoms). If you feel hot or unwell check your temperature. A raised temperature indicates you have an infection which could be life threatening. A normal temperature is between 36oC and 37.2oC. If it is 38°C (100F) telephone the Hospital or cancer unit immediately and they will advise you. Do not take Paracetamol or Aspirin as this will bring your temperature down and mask the signs of infection. This is most likely to happen in the middle week (7-14 days) between cycles. Other advice on paracetamol; As mentioned above, if you have a temperature and feel unwell you may have an infection and may need treatment in hospital, we advise not to take paracetamol in this situation as it may mask your temperature, give false reassurance and delay you presenting to hospital for treatment. Taking paracetamol can otherwise be used with discretion. If for example you have a headache or a mild pain but otherwise feel well and your temperature is normal paracetamol can be used provided you check your temperature before each dose and allow a full six hours before each administration. Contact to chicken pox; If you can't remember whether you've had Chicken Pox as a child and you come in contact with a person who as it or shingles you should contact your oncology team. They will arrange a blood test to find out if you are immune to chicken pox (the varcella virus). If not a series of injections can be administered to offer you temporary immunity. Fatigue All chemotherapy can cause fatigue. As your treatment progresses you will experience this. You may find that gentle exercise such as a short walk each day (if you are not working) may help. Fatigue and malaise may last up to 2-3 months (or longer) after the end of chemotherapy. Weight gain; Over the entire course of chemotherapy many patients complain of weight gain. This is caused by a combination of the steroids increasing the appetite, the fatigue causing lack of mobility and the mild nausea often encouraging to nibble rather than eating correct meals - In order to prevent this we recommend regular light exercise and be aware of your calorie intake. 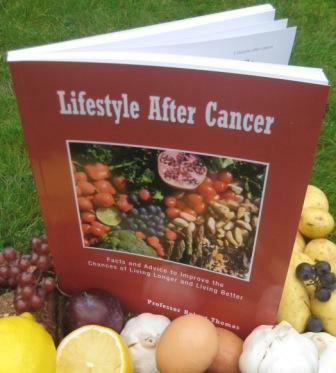 Weight loss may also be experienced by some patients during their course of chemotherapy particularly if there is more advances disease or other medical problems, in these cases dietary advice should be sought. Sore mouth; You may have a sore mouth after chemotherapy and it is important that you maintain good oral hygiene. A soft, baby toothbrush may help and you may be given a mouthwash. If you develop mouth ulcers you should contact your clinic and they can prescribe special mouthwashes to help. Hair loss; This chemotherapy does cause hair loss. It usually starts 3-4 weeks after the first course and may be lost completely. You may also experience thinning and loss of eyelashes, eyebrows and other body hair. This is temporary and your hair will regrow after treatment, although it may at first be a different texture, very like a baby's hair. Some departments use a cold cap system to minimise hair loss. Your clinic nurse can arrange for you to have a wig before your treatment starts (NHS prescription charge, prices are approximately £55 for an acrylic wig, £140 for half real hair wig and £205 for a full real hair wig). Premature menopause; For pre-menopausal women, chemotherapy may affect your periods. They may become heavier, lighter or may stop. In some women this may be permanent causing menopausal symptoms. You should not become pregnant during chemotherapy, as chemotherapy will damage a growing baby. You should still take contraceptive precautions even if your periods have stopped, as you could still become pregnant. Constipation: Some patients experience constipation which may be due to the anti-sickness tablets. You should drink plenty of fluids, eat a high fibre diet and take gentle exercise. If this is severe you should contact your clinic or GP. Steroids; This chemotherapy is given with steroids (e.g. Dexamethasone) to help prevent sickness and an allergic reaction along with other supportive drugs. Steroids have some side effects, including fluid retention, weight gain, wakefulness and sometimes agitation. If you suffer from indigestion you may be given tablets to prevent this. If patients are prone to "spots" or acne this can be made worse. Likewise they can temporarily upset diabetes or high blood pressure. Allergic reaction; Despite steroids, very occasionally people may have an allergic reaction to Taxotere on the first or second infusion. If you feel hot, shivery, breathless or develop an itchy rash then let the chemotherapy nurse know immediately. Altered taste; You may also experience an alteration in your taste. Food may taste slightly more salty, bitter or metallic. Normal taste will return once you treatment has finished, but may take several months to do so. Diarrhoea; It is not normal to have diarrhoea - if this develops it may be due to an infection and you should contact your clinic or your GP. Altered sensation; Some people notice altered sensation with slight numbness or pins and needles in the fingers or toes. This comes on slowly, is usually mild and will get better slowly after chemotherapy has finished. If the numbness is severe and stops you doing things (e.g. fastening buttons) your doctor may need to change your drugs or alter the dose. If you develop sudden numbness or weakness this should always be reported immediately. Aching muscles and joints; You may experience pain in the muscles and joints within two to three days of having your Taxotere infusion, but usually resolves quite quickly. Pain-killers can be used as advised. Nails; The grow of the nails can be impaired by chemotherapy. The amount of damage can vary but in most case there will be some slight discolouration and indentation seen in ridges across the nail beds - a bit like the rings of a tree, each representing an individual chemotherapy cycle. Occasionally the damage can be more troublesome, causing pain and breakdown of the nail bed causing it to lift and separate, possibly even leading to a total loss of the nail. Eventually after chemotherapy has finished the nail will grow back normally.